Connie's World Adventure! 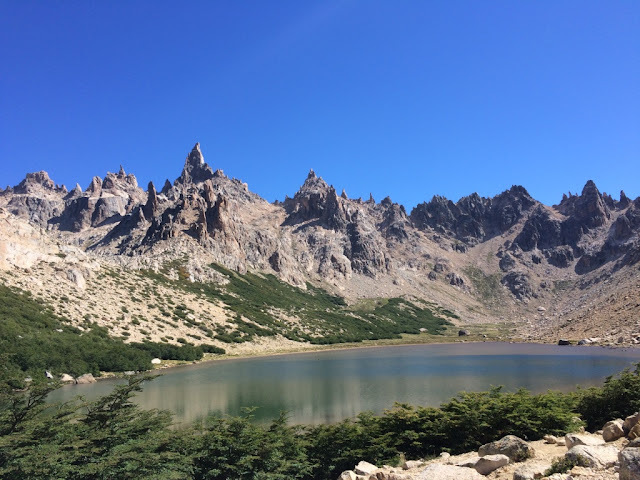 : Bariloche, Argentina: Switzerland is in Argentina! Bariloche, Argentina: Switzerland is in Argentina! A 24-hour bus later (which honestly - wasn't that bad! They played movies and such, and the seats were super comfy and recline-y), I arrived in the city of Bariloche, Argentina! 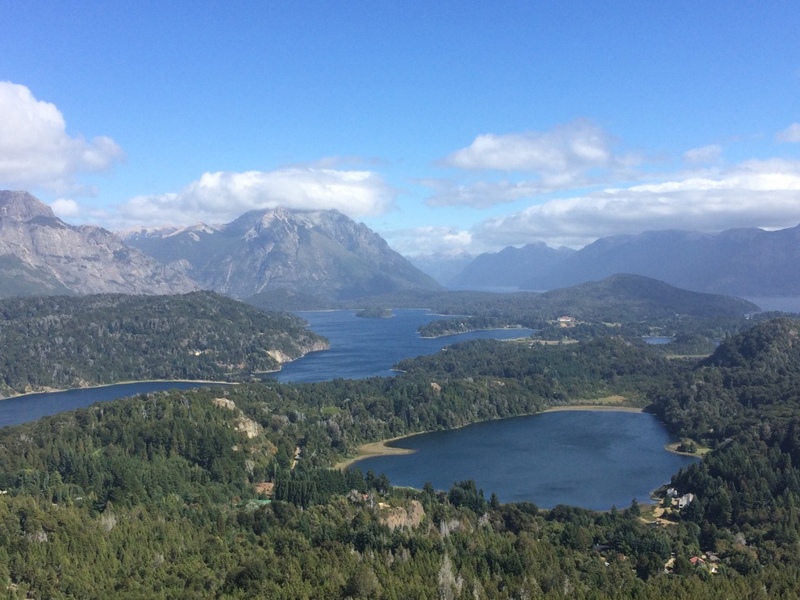 San Carlos de Bariloche, Bariloche for short, is a city in the very northern tip of Patagonia, probably halfway down the huge length of land that is Argentina. It has great skiing in the winter, and is known as the land of a million lakes. It's also basically Switzerland: rolling green hills, tons of gorgeous lakes, and delicious gourmet chocolates everywhere. They style a lot of their buildings kind of Swiss-looking as well, which makes it all the more appropriate. 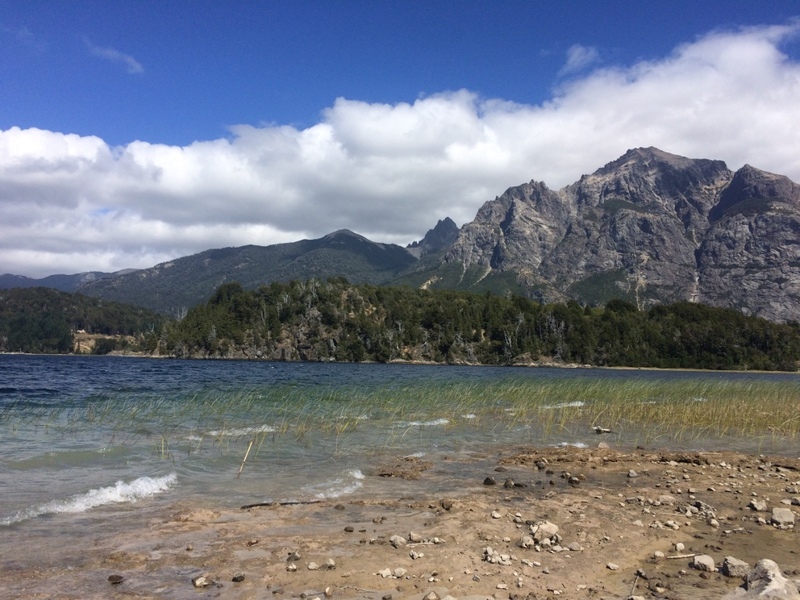 And appropriately for Patagonia, it was super amazingly stunningly gorgeous. 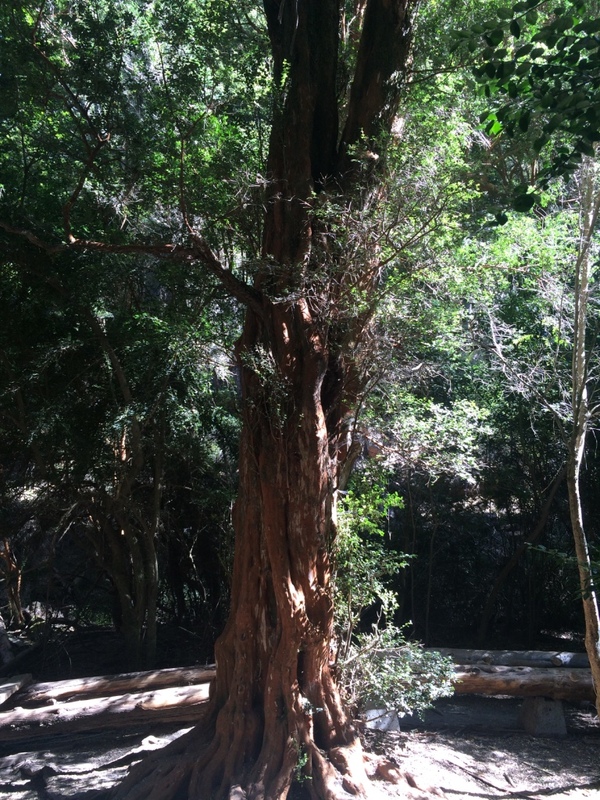 There are so, so many hiking trails - EVERYwhere - you could spend weeks here and not even hit up all the gorgeous trails. Bariloche felt distinctly different from Southern Patagonia, and I was so glad I went. Are we done hiking yet? 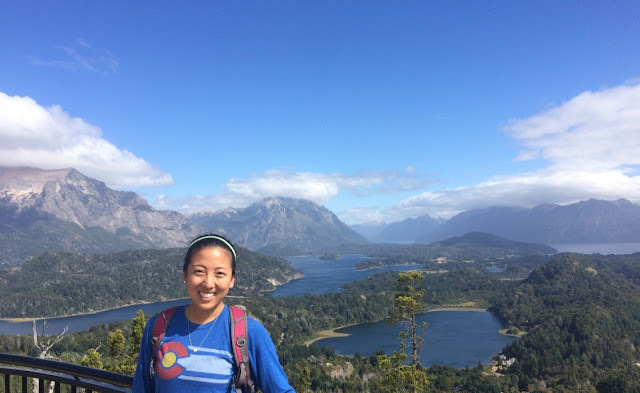 Because the answer is that you're never done hiking. 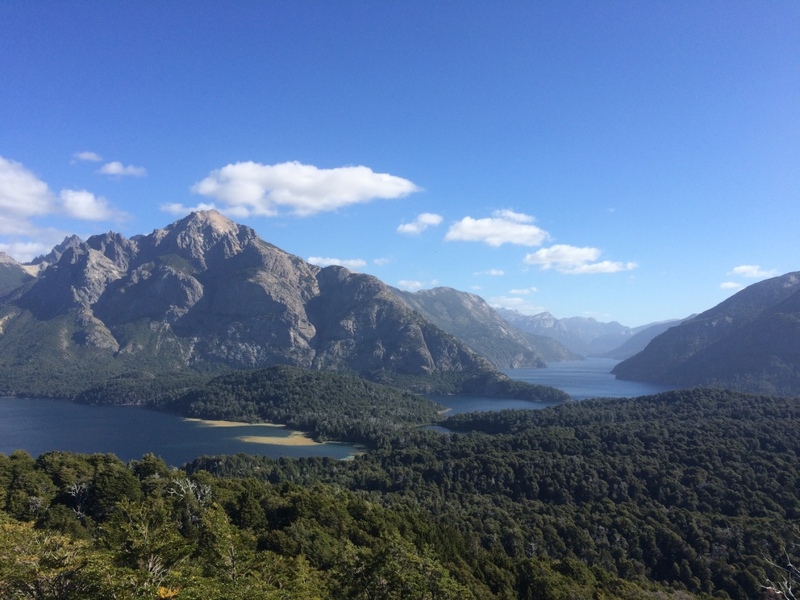 Headed out the first day in Bariloche to Campanario, a super-scenic outlook that looks out all over the gorgeousness lake-world that is Bariloche. 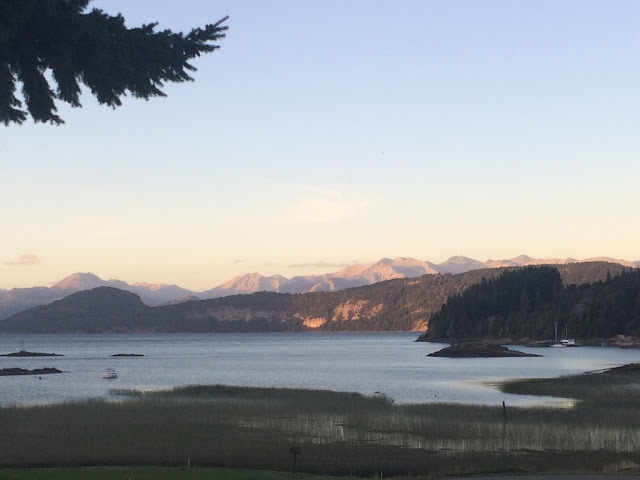 It provides a 360 degree view, and all you see is lakes and mountains. SO. stunning. I went with Thomas, an Austrian guy I met on the bus. 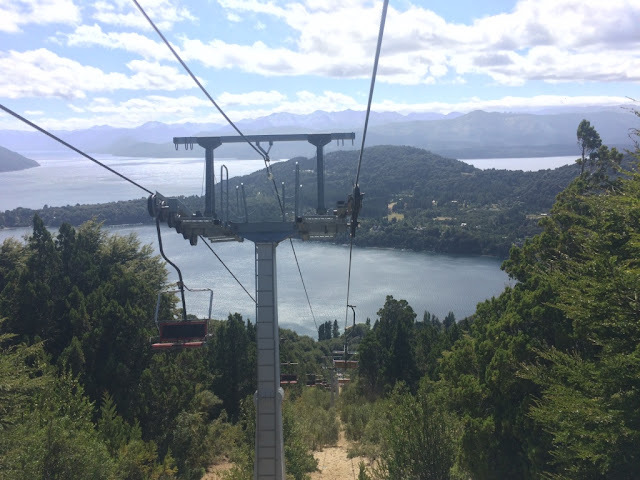 At Campanario, you can choose to take a ski lift chair up to the top, or it's a quick 30-minute hike (we opted for a hike. After two days of 6-8 hour hikes, 30-minutes seems like it rounds to zero). Lakes everywhere! Our hostel owner said this was voted one of the top views of the entire world; obviously I have zero idea what source that is or what basis they judged on, but I'll take it. We had a coffee at the café at the top, then rode the ski lift down. 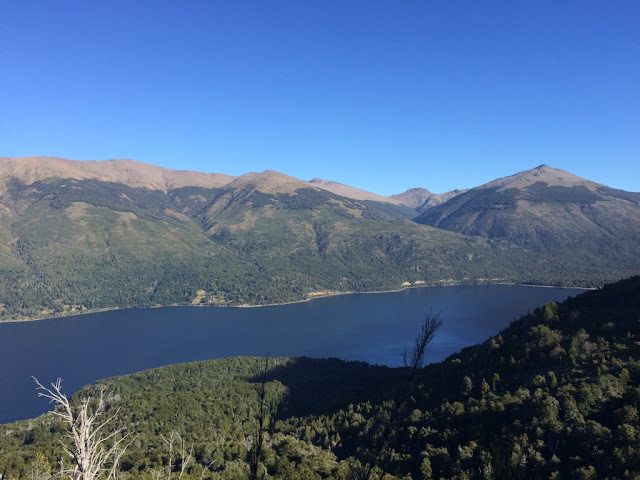 Next, we continued on the bus to a mountain called Llao Llao (which strangely, in their super-weird Argentinian Spanish, they pronounce "Shao Shao") - we started on a winding trail by one of the lakes, and then took a quick hike to the beach, then to the top of the mountain. It was supposed to be a super short hike, but accounting for all the other trails we wandered off onto, it was another 8-hour hiking day. Here is one of the beaches we stopped by, which was rock city. What kind of beach is this. 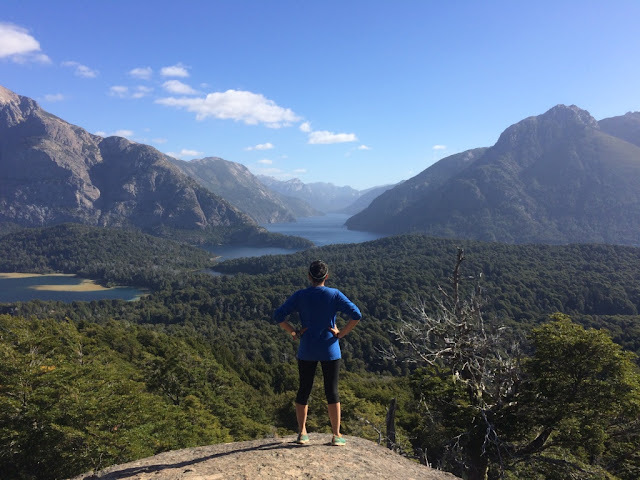 And then we made it to the top of Llao Llao! 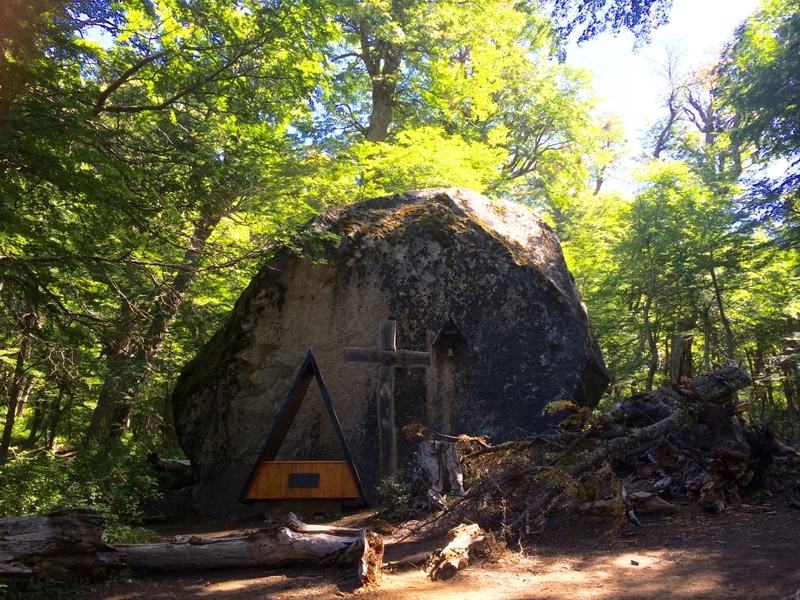 Last day, we thought we'd do one last hike - a popular one people recommended to us was called Refugio Lopez. I kind of agreed to do it without knowing what it entailed - and found out once there that is was ANOTHER 8-HOUR HIKE. 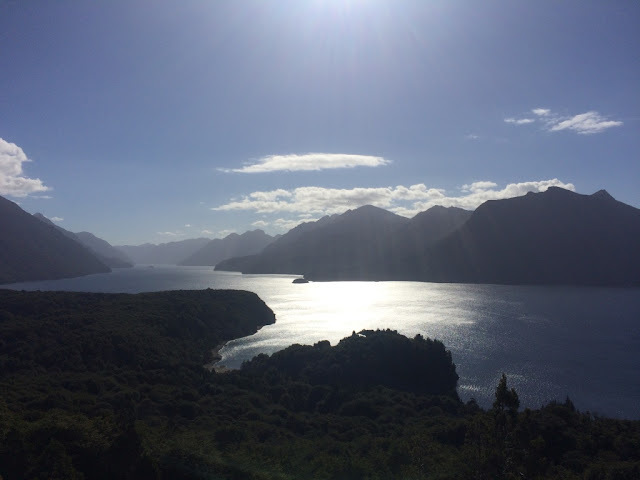 At this point, the all-day hikes were getting slightly tedious and I'm not sure I was as appreciative as I would have normally been otherwise. The path was honestly really pretty, but the first half of the hike was flat so you knew you weren't really making any progress up the mountain: then the path FINALLY wound up and around the mountain with changing views of forests and rivers and such. My newly-minted hiking snob self was thinking that the hike could have been half the amount of time and been just as pretty. 4 hours later.....the top of Refugio Lopez! 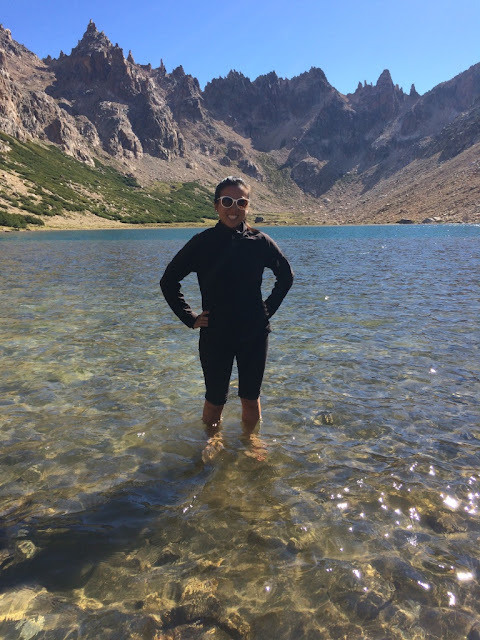 I look like I'm in a bodysuit and the water was so, so ice-cold. I actually loved hanging out at the top the most. 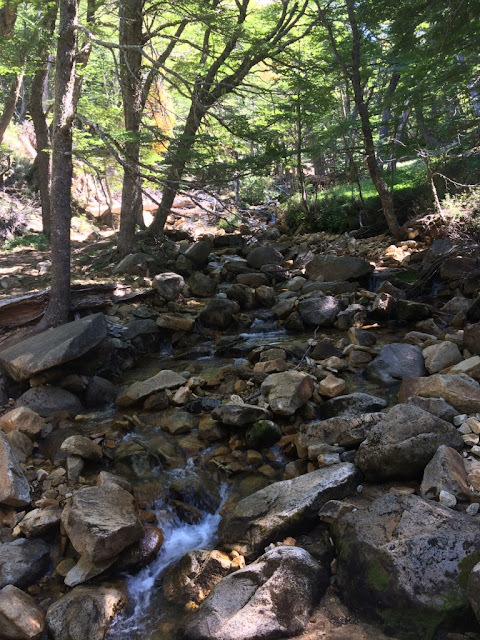 A refugio is a shelter-like place, so at Refugio Lopez, we each got a chocolate bar and a beer and laid by the water sunning ourselves for awhile. It was so peaceful and perfect that it almost made the tedious 4-hour hike worth it. ALMOST. 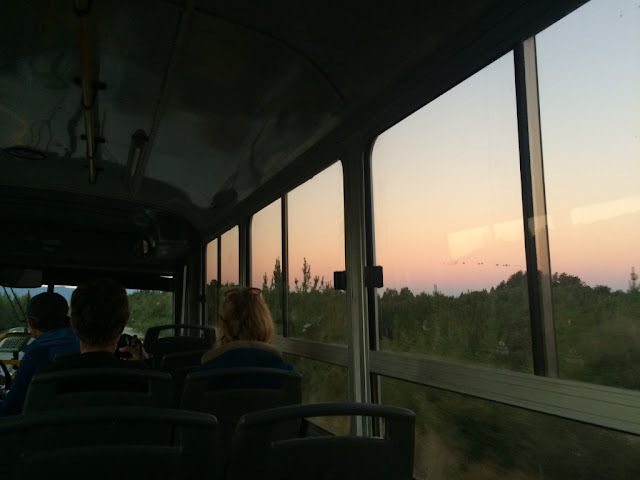 And then we missed the bus back to Bariloche by 2 seconds (it only comes once an hour). But on the bus we did manage to catch, there was the most stunning sunset out the window on the way back to town. 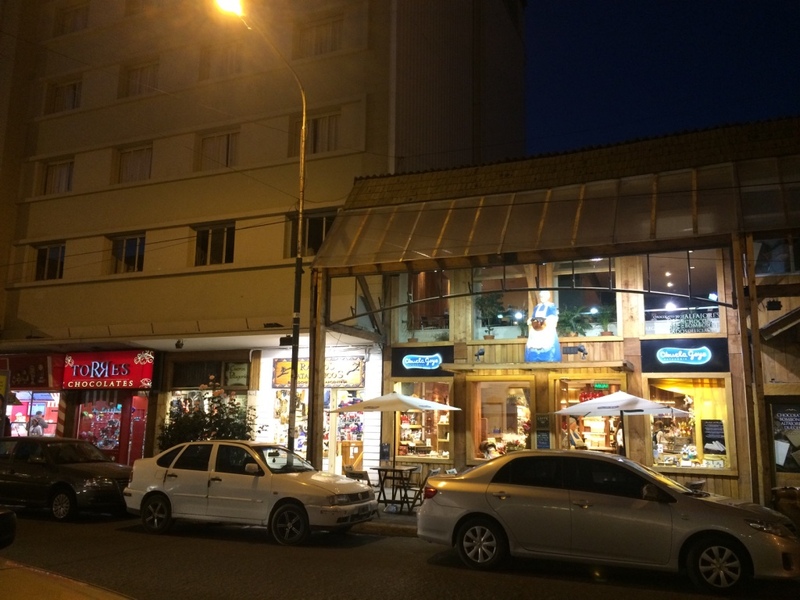 That evening, and the next morning before my next bus out of town, we spend wandering Bariloche's chocolate shop mecca. Seriously, there are so, so many amazing, ridiculous, gourmet chocolate shops here - they're beautiful and huge and usually have their own cafés attached, where you can sit and have a steaming mug of hot chocolate and pastries (AND BONUS! Usually they serve ice cream too! 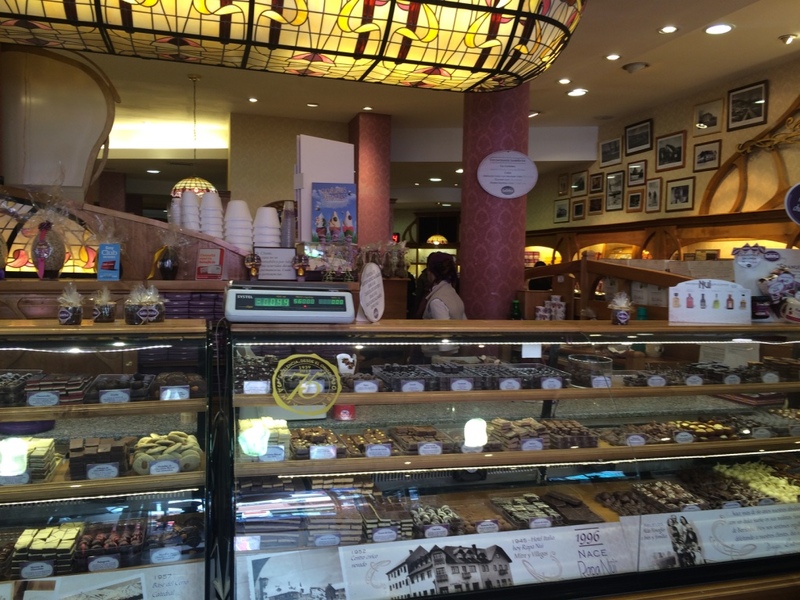 ), and they also offer every kind of chocolate you could ever want. There's seriously a street downtown where there's choco shop after choco shop after choco shop. All different, all with a Swiss flair, and all delicious-looking. 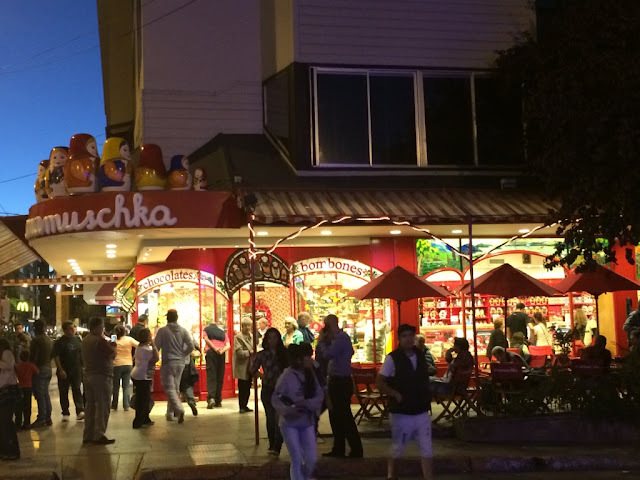 Bariloche ice cream is also tops - it's open late, and there's so many amazing flavors. This was my reward to myself after the last 8-hour hiking day. 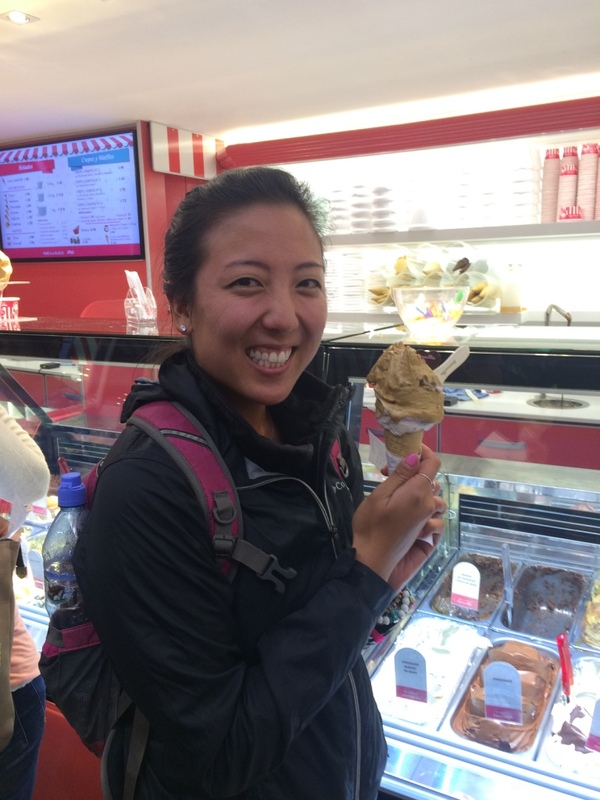 Ok no it wasn't, because Bariloche is maaaaaaybe where I decided to resume my daily ice cream habit. 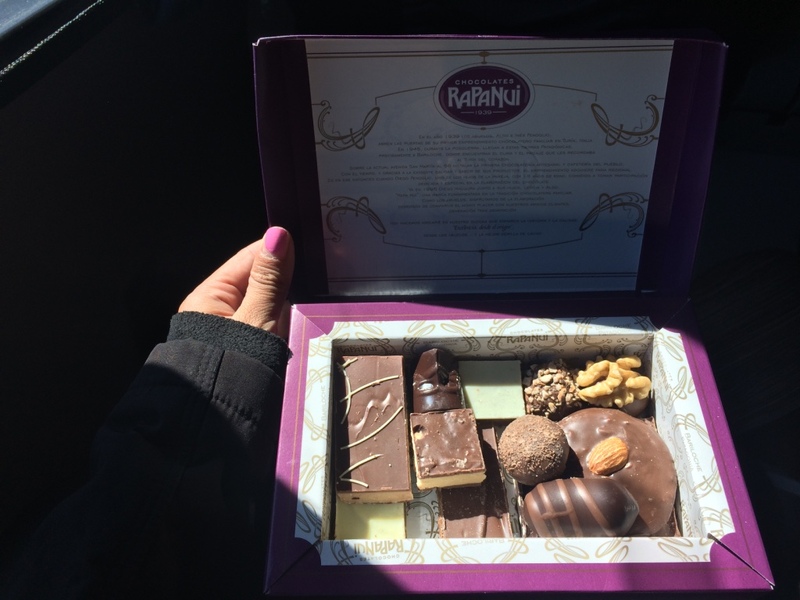 The next morning, I dragged myself to chocolate shop Rapa Nui to get myself a box of chocolates right before my next bus trip. Don't judge me, but this is maybe a personal box of chocolates I got for myself for the bus trip. I kept telling myself I'd save some to give to new friends and roommates and such, but it didn't happen. One 19-hour bus ride later, this box was maybe depleted. And I maybe hopped on a train heading straight for diabetes. If you're wondering about all these crazy-long bus trips I'm taking, it's because Argentina is HUGE! Also, the bus system here is the shiz - there are tons of different companies, but for the most part, the buses are SUPER nice and fancy and you can get anywhere you want (and they're expensive! 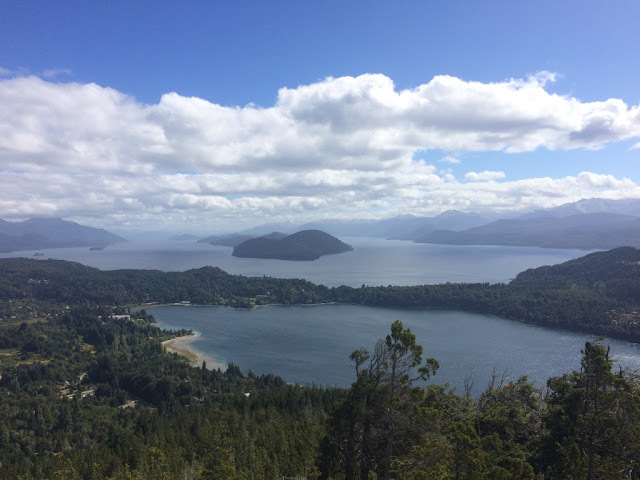 My 24-hour bus ride to Bariloche was $140). But imagine the nice air-conditioned mega-coach buses with nice reclining seats and cushions and such. 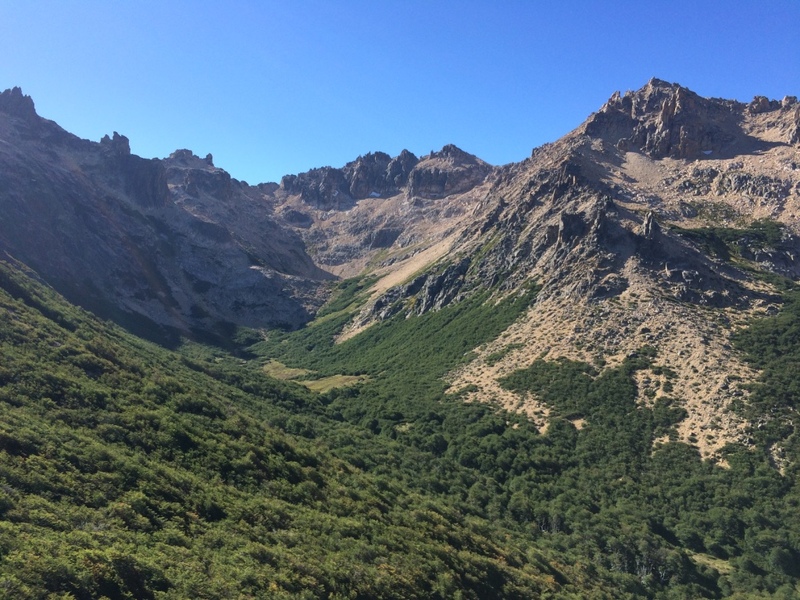 On my 19-hour bus out of Bariloche to the city of Mendoza, I paid an extra $20 and got leather seats which reclined a ton farther (aaaaaalmost flat), meals and snacks, and movies. 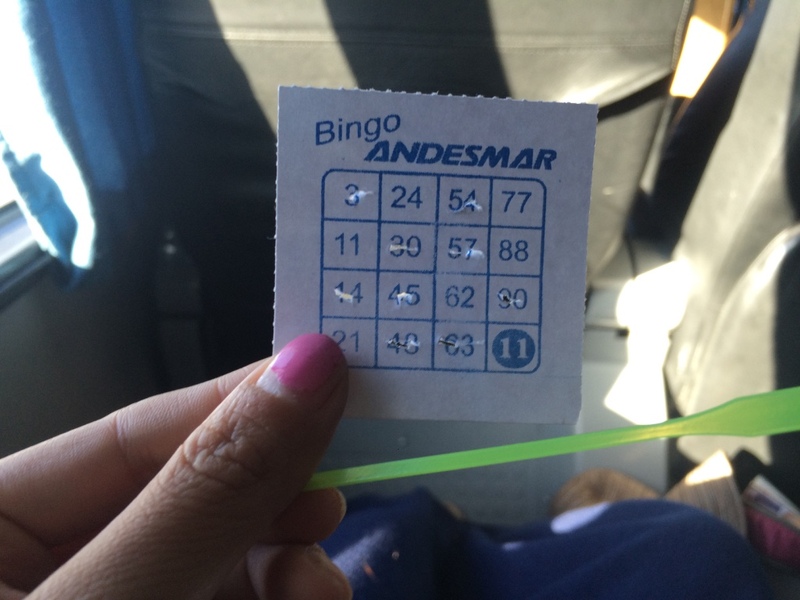 And they offered a bingo game! I think the prize was a bottle of wine. Clearly I was not the winner. Frutilla = strawberry. They don't use the word fresa here. So when you're ordering ice cream, take note. President Obama is apparently heading to Bariloche on the 23rd or 24th of this month!